I completed my doctoral degree at the University of California, Irvine in History with a Graduate Feminist Emphasis and an emphasis in Critical Theory. Before attending graduate school, I worked as a GED Instructor/Educational Coordinator for a HUD funded program called PACE/SIPA YouthBuild which provided on-site job training and GED instruction for at-risk youths between the ages of 18-25 in the downtown Los Angeles area. I earned my B.S. from the University of California, Los Angeles with a double major in Physiological Science and Asian American Studies. My teaching and research interests develop the multiple and conflicting ways in which race, gender, class, sexuality, and nationality structure our society, critically determining who gets to be included and excluded. I offer courses that examine the interplay among these identity categories within U.S. cold war culture, Asian American history and culture, American Studies within a transnational framework, and discourses on citizenship. 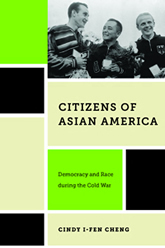 My book, “Citizens of Asian America: Democracy and Race during the Cold War,” explores the ways in which Asian Americans shaped the credibility of U.S. democracy during the early Cold War years. As racial minorities, the incorporation of Asian Americans into the nation’s suburbs and workplaces, together with the liberalization of immigration policies, affirmed how U.S. democracy worked to ensure the rights of all. 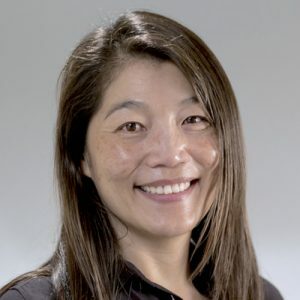 But the perceived “foreignness” of Asian Americans also cast them as likely alien subversives that needed to be deported from the nation following the communist revolution in China and the outbreak of the Korean War. This dual understanding of Asian Americans as racial minorities and as the “foreigners-within” uncovered how the legitimacy of U.S. Cold War democracy was established through the inclusion of Asian Americans as racial minorities and their exclusion as political dissenters. This study goes beyond the black/white framework and develops how a multiethnic understanding of race relations shaped the meaning of U.S. democracy during the early Cold War years. I am currently working on a project entitled, “Rebuilding California’s Skid Row Neighborhoods: Southeast Asian and Central American Refugees and the Growth of the Homeless Population in the United States, 1945-1980,” that examines how the residence of Southeast Asian families in the Tenderloin of San Francisco and of Central American families in Skid Row, Los Angeles shaped the development of these locales. “Identities and Places: On Writing the History of Filipinotown, Los Angeles” Journal of Asian American Studies 12:1 (February 2009): 1-33. 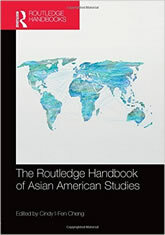 “Out of Chinatown and into the Suburbs: Chinese Americans and the Politics of Cultural Citizenship in Early Cold War America,” American Quarterly 58:4 (December 2006): 1067-1090.